The thing is . It does show . The black on red may be a little difficult to see when composing a post . 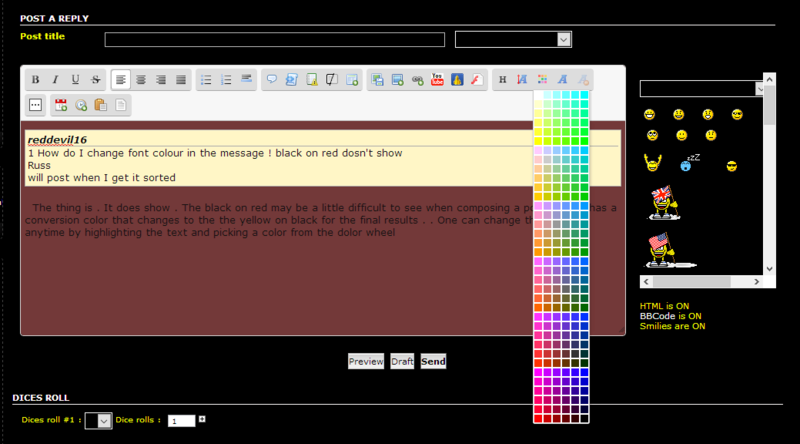 But it has a conversion color that changes to the the yellow on black for the final results . . One can change the color at anytime by highlighting the text and picking a color from the dolor wheel . Go right ahead and find the color that suits your vision .